Right, but it wasn't a reference to coaching changes this year. 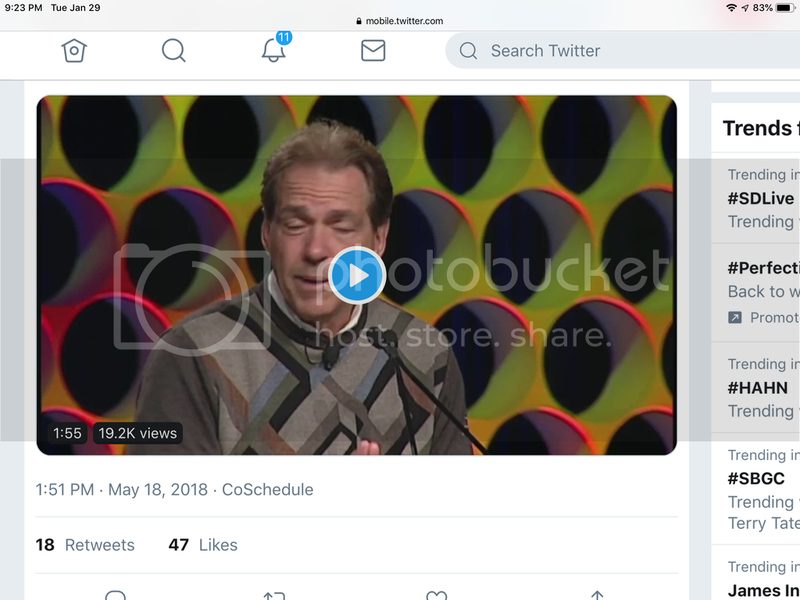 The reasons may be similar but it's a little misleading to say that video is why coaching changes were made after the 2018 season when the video is from 2014.. I was saying that statement was a big reason. Regardless of when it was said. When I watched the video I saw the date Of that copy was may 2018. I thought the video was older than that, but regardless. That philosophy had a lot to do with coaching changes the last couple of years’. That is my statement, my opinion! Where did you see a copy date on the video? Can't see one when I watch it. Don’t ask how I got here! But this is where I watched it. Actually , I think I googled the speech because Nick looked younger and tan ! Last edited by bamaga; January 29th, 2019 at 08:31 PM.